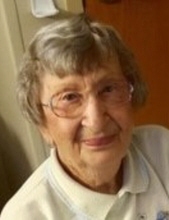 B. Rosemary Zeides Dropsey, 86, of Mansfield passed away February 8, 2019 at OhioHealth Mansfield Hospital after a lengthy illness. Rosemary was born October 18, 1932 in Mansfield to the late Peter and Katharine Ziegler Zeides. She graduated from Mansfield Senior High and Mansfield General School of Nursing where she became an RN. Besides her children, her grandchildren and great-grandchildren were her world. So much so that she taught her grandchildren to use "appropriate" words while playing Nintendo. Survivors include her husband of 63 years, Richard Dropsey whom she married August 27, 1955; her children Pat (Rita) Dropsey, Mike Dropsey, Rick (Pam) Dropsey, Mark (Melissa Stapleton) Dropsey, Nancy Clemons, Charles Ticknor, Dave Heringhaus and the rest know who you are; 13 grandchildren Katharine (Anthony) Trumpower, Austyn Dropsey, Blair Dropsey, Mikey Dropsey, Nick Dropsey, Ashley (Joe) Christman, Chelsea (Dalton Farina) Dropsey, Brittany (Nick) Vega, Lindsay (Mike) Wirth, Cole Richards, Josh (Kara) Clemons, Nikki (Jeff Williams) Clemons, Dalton Clemons; 13 great-grandchildren; as well as a host of nieces and nephews. In addition to her parents she was preceded in death by her three brothers and a sister. Friends may call at Herlihy-Chambers Funeral Home, 173 Park Avenue West, on Monday from from 4-8pm. A Mass of Christian Burial will be celebrated 11:30am Tuesday at St. Peter's Catholic Church with Rev. Gregory Hite officiating. Burial will follow in Mansfield Catholic Cemetery. In lieu of flowers, memorial contributions may be made to a charity of your choice in her honor. As a note, if Rose graced you with the "Bird of Paradise" cherish that memory. To send flowers or a remembrance gift to the family of Rosemary Dropsey, please visit our Tribute Store. "Email Address" would like to share the life celebration of Rosemary Dropsey. Click on the "link" to go to share a favorite memory or leave a condolence message for the family.